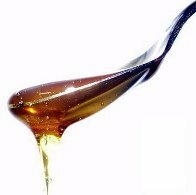 “A daily spoonful or two of honey taken prior to bedtime can help us sleep better and lose weight at the same time”. Now, I expect what I just said to stir up an upheaval of emotions for most of you. How can something so sweet be any good when you are closely watching your weight? Doesn’t it sound all too stupid to consume more calories before you sleep when you are trying all day to lose weight and reduce calories in your meals? Doesn’t everyone know that our body metabolism rate at night is low, so we should avoid eating too late if we want a flat tummy? Surely, this must be one of those baseless old wives’ tales about dieting or some quick fix that’s central to all fad diets. Hang in there, what you are going to read is going to transform your thinking about body metabolism, confront you to take quality sleep more seriously, and change the way you talk about this all-too-common yellow liquid called, honey. How does hybernation diet work? A revolutionary approach to fat metabolism, the Hibernation Diet believes that honey is the most ideal food that can provide a fuelling mechanism for the liver at night due to its 1:1 ratio of fructose to glucose. Mike McInnes, a pharmacist and the author of the Hibernation Diet, rediscovered the principles of human metabolism and the critical role of liver glycogen in recovery physiology that have been overlooked or ignored by the medical and sport science faculties. Our brain constitutes only 2% of our entire body mass, yet it’s the most energy demanding organ, burning up to 20 times the fuel of any other cell in the body. And it can only store energy in a very restricted form. The liver is the only organ that can both store and release glucose for fuelling of the brain. Hence ensuring enough storage of liver glycogen amount during the 8 hours of night fasting is so critical. If we go to bed with a depleted liver, the brain triggers the release of stress hormones – adrenalin and cortisol in order to convert muscle protein into glucose required for the survival of the brain. And the overproduction of stress hormones not only works against our efforts to lose weight but in the long run (day after day, week after week, month after month...) can also lead to conditions such as obesity, heart disease, osteoporosis, diabetes, poor immune function, hypertension, depression and other distressing health problems. When we talk about our plan to lose weight, we have to understand that our body burn four types of fuel – body fats (adipose), fats within muscle tissue (triglycerides), glucose from liver glycogen, and glucose from muscle glycogen stores. The burning ratio during exercise or aerobics is 20% fat to 80% glucose. And during resting metabolism (sleep) this is reversed to 20% glucose and 80% fats! We have to know that body fat (adipose) is the fuel used to provide the energy of recovery physiology (sleep metabolism), and this fat is exclusively body and not muscle fat. Take for example, for a sedentary person who does not exercise, 2400 calories are required in 1 day (24 hrs) for survival. Thus metabolic rate is 100 calories/hr. Overnight consumption during 8 hrs of sleep is 800 calories. And if resting metabolism rate is 20% glucose and 80% fat, then during the night fast, 160 calories of glucose (in brain and red blood cells, mostly in brain) and 640 calories in fat (body fat). If this person visits a gym and expends 1000 calories, the ratio is 20% fat and 80% glucose, ie 200 calories of fat and 800 calories of glucose. In exercise, fat is sourced from both muscle fat (triglycerides) and body fat (adipose tissue) in equal amount. Thus the body fat consumed during exercise is only 100 calories, which is about only 11g or less than 0.5 ounce! 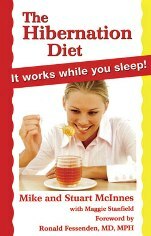 In recovery state (during sleep), metabolism rate may be low, but it’s healthy, and it burns body fats. Hence, if we just go after measuring metabolism rates in our strife to lose weight, we miss the point. The problem for a lot of us is, we cannot optimise body fat metabolism (20%:80%) overnight when we go to bed with a depleted liver. We activate stress hormones which inhibit glucose metabolism, which in turn inhibits fat metabolism. The incredible news is, metabolism stress can be easily prevented by eating honey prior to bedtime as it provides adequate fuel for the liver during the night fast. Honey intelligently restocks the liver selectively without digestive burden and forms a stable supply of liver glycogen which our brain demands for the 8 hrs of night fast – when we sleep. Keeping ourselves healthy and slim can’t get any sweeter than this. Ruth Tan runs the popular website Benefits of Honey which is an immensely rich, quality resource on honey and its benefits, and a plethora of health-related issues. To discover how incredibly intelligent natural honey is, why this super-food must be differentiated from all other forms of sugar or sweetener, and how it can bring amazing health benefits and spin-offs to your life and the lives of your loved ones at visit this Honey Resource.